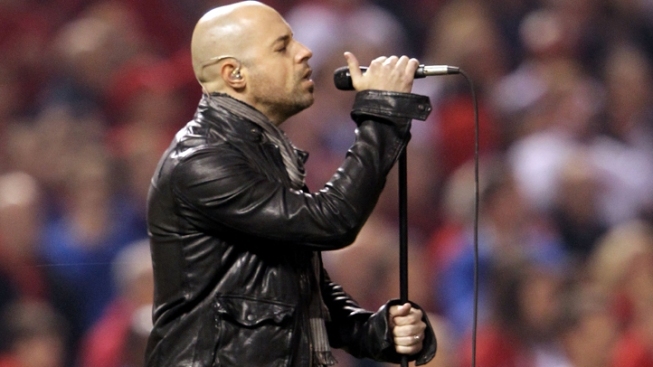 Singer Chris Daughtry is being sued by his former bandmates. “American Idol” alum Chris Daughtry has been sued by his former band members for allegedly bilking them out of their share of royalties. Three former band members of "Absent Element" accused Daughtry of "constructive fraud, breaches of fiduciary duty, unfair trade practices and other deceptive and wrongful conduct" for withholding royalties from four songs they said they helped write before he hit it big, the Greensboro, N.C. News & Record reported. Daughtry, 32, said in a statement on his website he was “very hurt” by what he called false accusations. “The songs listed in this lawsuit were written solely by me and no one else,” he said. Daughtry came in fourth place during “Idol’s” 2006 season, but his self-titled debut album went on to oursell winner Taylor's Hick's debit and set a SoundScan record. His third album, Break the Spell, was released last year.